Not to be confused with the old Port Charlotte distillery, Bruichladdich launched Port Charlotte as a heavily peated product range. 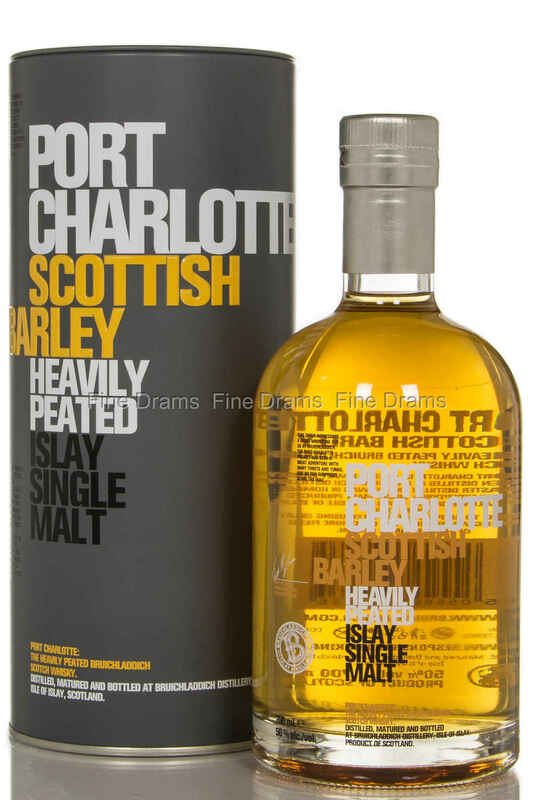 This is another masterpiece from Bruichladdich’s Master Distiller Jim McEwan, Port Charlotte Scottish Barley is a heavily peated single malt made with 100% Scottish barley and matured in the village of Port Charlotte. Bottled at 50%, non-chill-filtered and at natural colour this is a beauty.